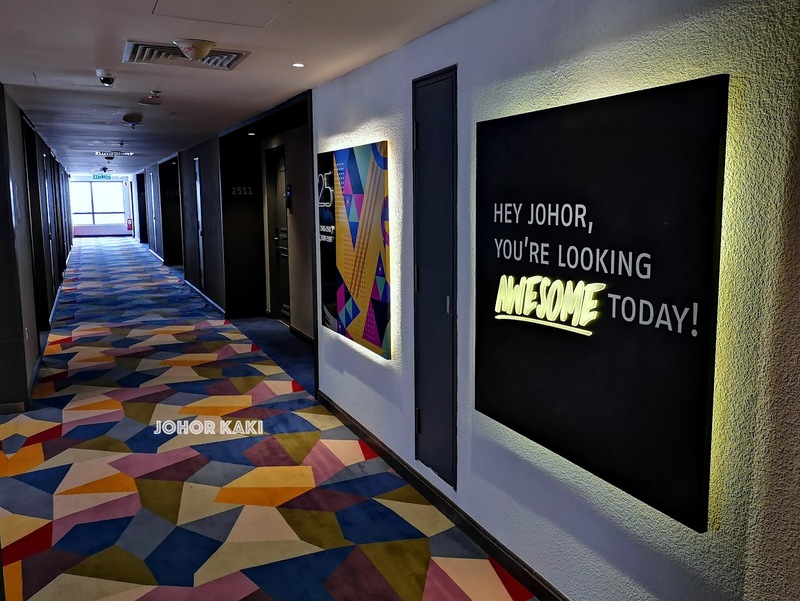 I was invited to visit TROVE Johor Bahru, the newest hotel in JB. It's just 5-10 minutes by car from the JB CIQ, so it is very convenient for visitors coming from Singapore. 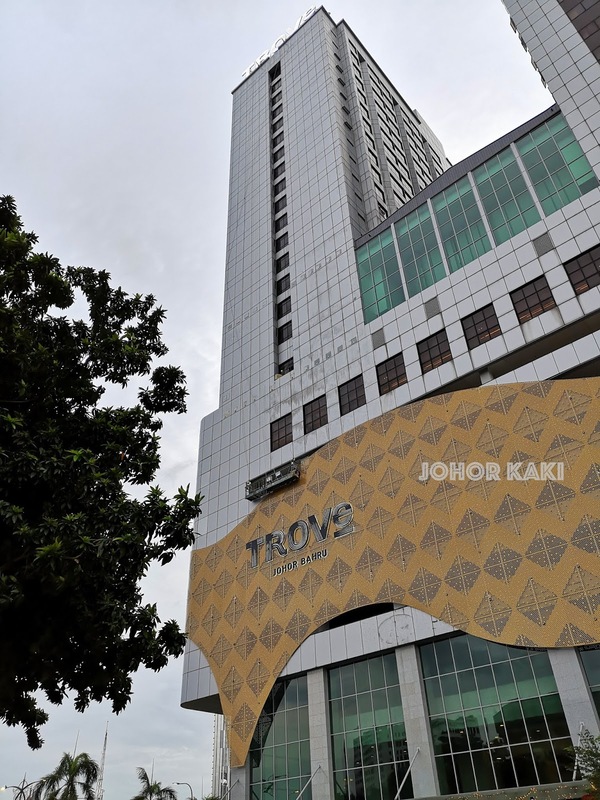 The 27 storey hotel has 283 rooms. 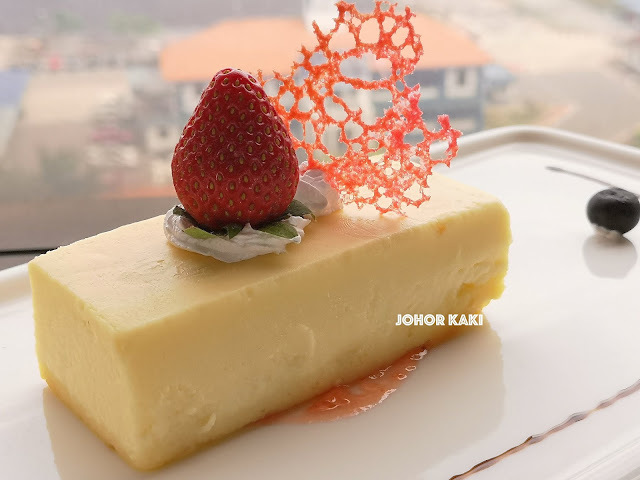 TROVE was Hotel Selesa in its past life - the new owners Care Luxury Hotels & Resort completely refurnished the building inside and out. 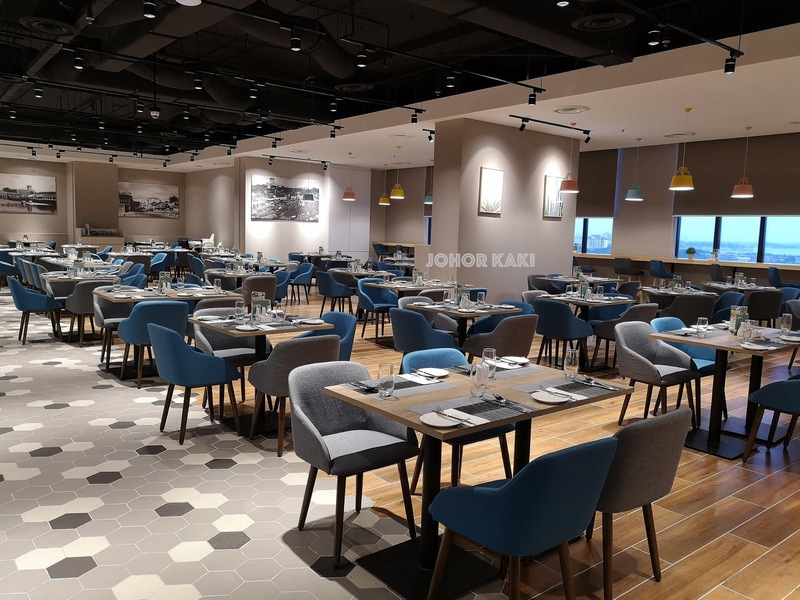 The spanking new hotel opened in Dec 2018 after nearly two years of major revamp. 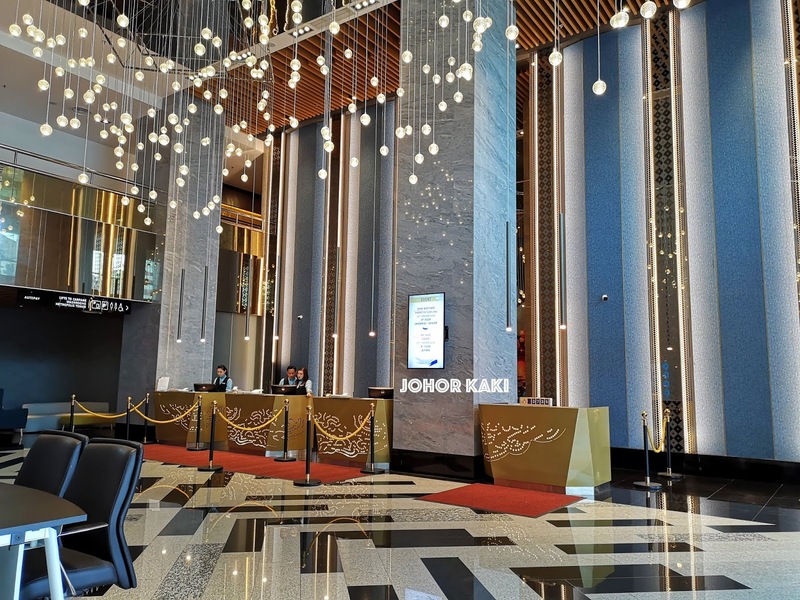 The spacious reception lobby at the ground level is elegantly functional minimalist yet felt warm and welcoming. 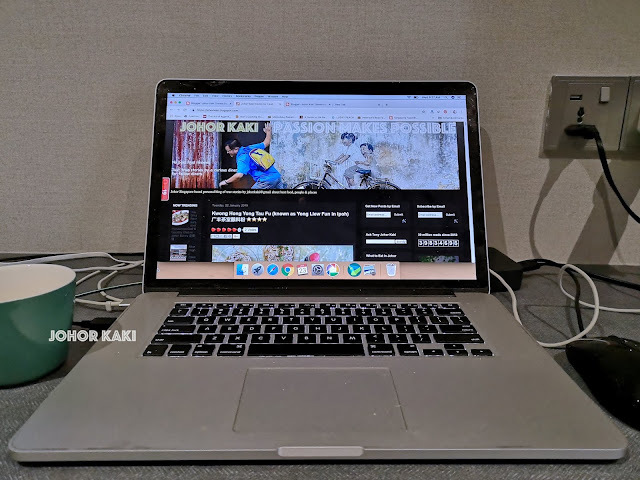 I was shown around the hotel. The grand ballroom on level 8 seats 600. 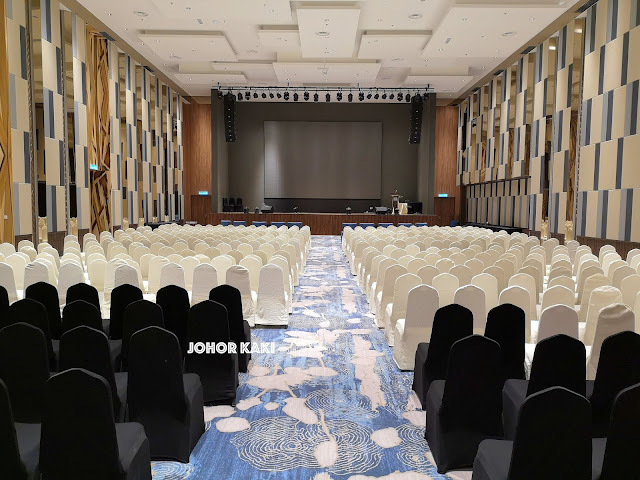 This used to be the swimming pool area in the old Hotel Selesa but was completely rebuilt into this spacious pillarless grand ballroom. There are 2 smaller ballrooms and 7 function rooms for meetings, seminars, conferences and events. 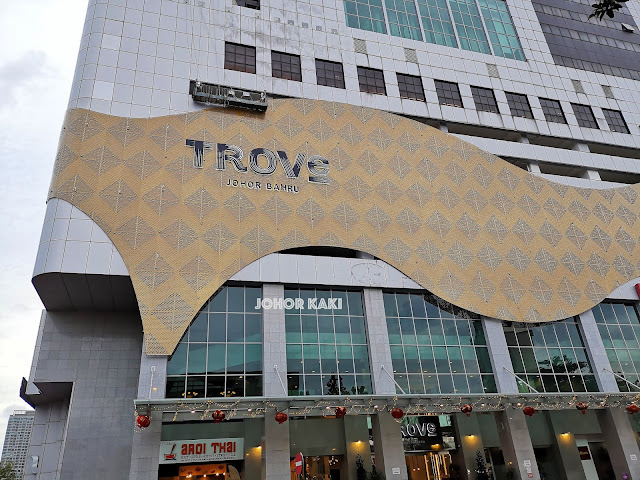 TROVE Hotel's 283 rooms across 27 floors are decorated according to 5 different themes. Customers can choose the type of theme they like. 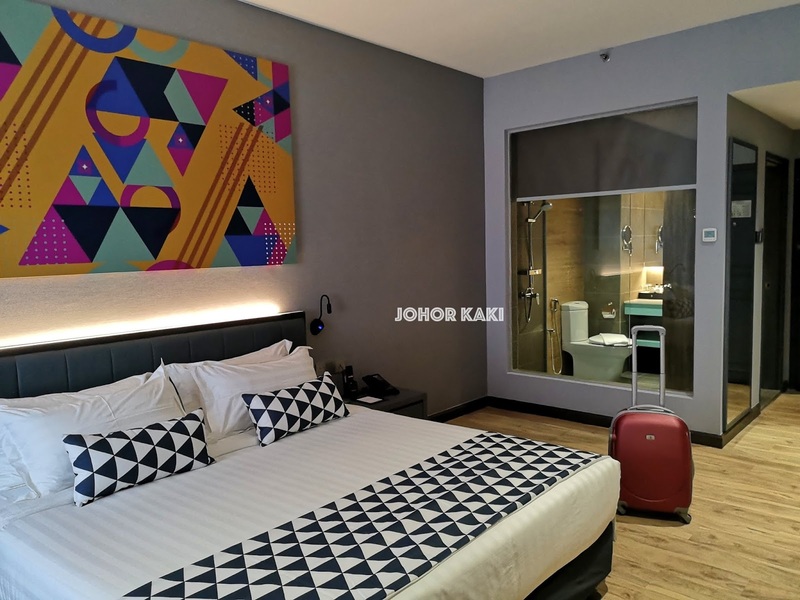 Local Love theme rooms feature local arts and crafts in pop art style. 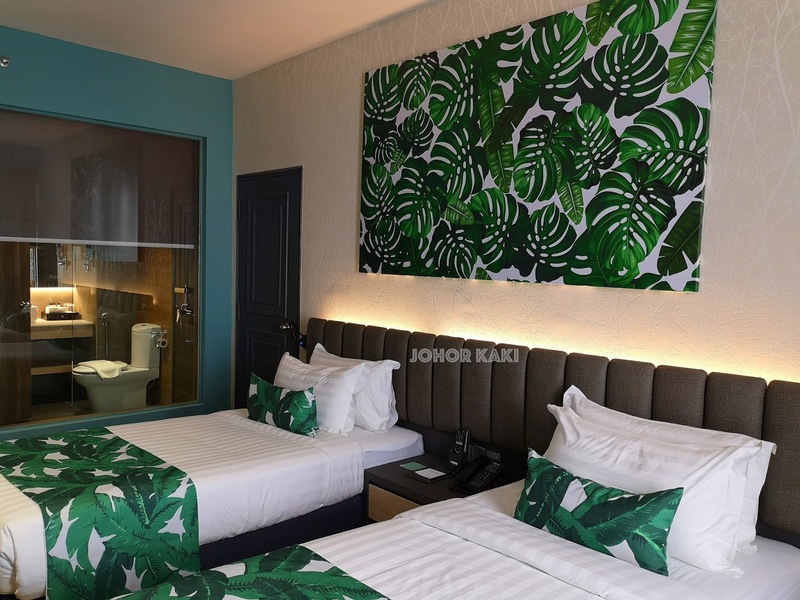 Into the Woods themed rooms pay homage to Johor's precious natural heritage. Precious Moments themed rooms are well appointed suites on the highest floor (27th) suitable for honeymoons and special occasions. 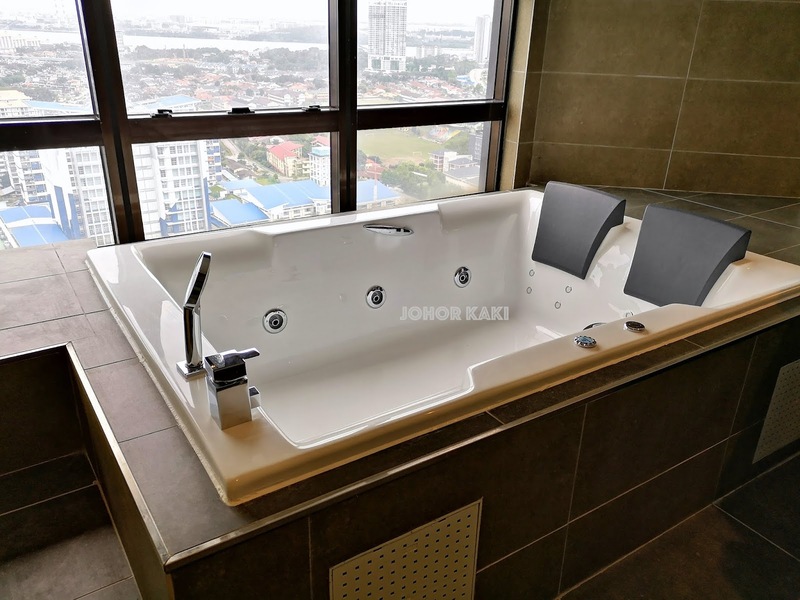 Some of the Precious Moment rooms are equipped with Jacuzzis. 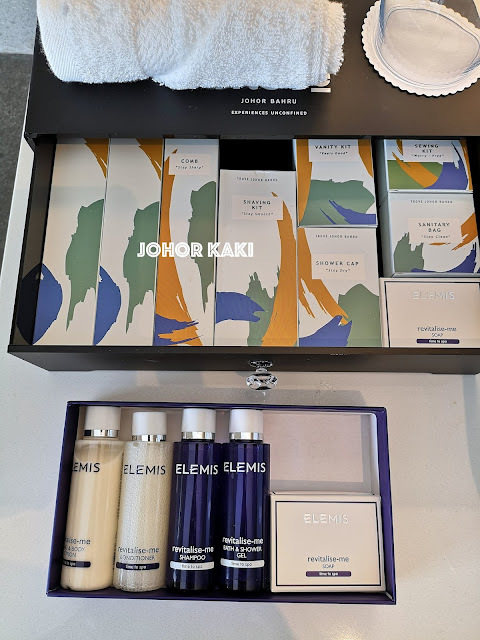 The basic toiletries are provided, so you don't have to pack your own (if you are like me who is not fussy about toiletries). Many hotels have done away with bottled water and TROVE Hotel is the same. Each room is provided with an in-room hot and cold water dispenser. I like the convenience of having the water dispenser in room (compared to having a shared one outside along the common corridor). I stayed in this room. 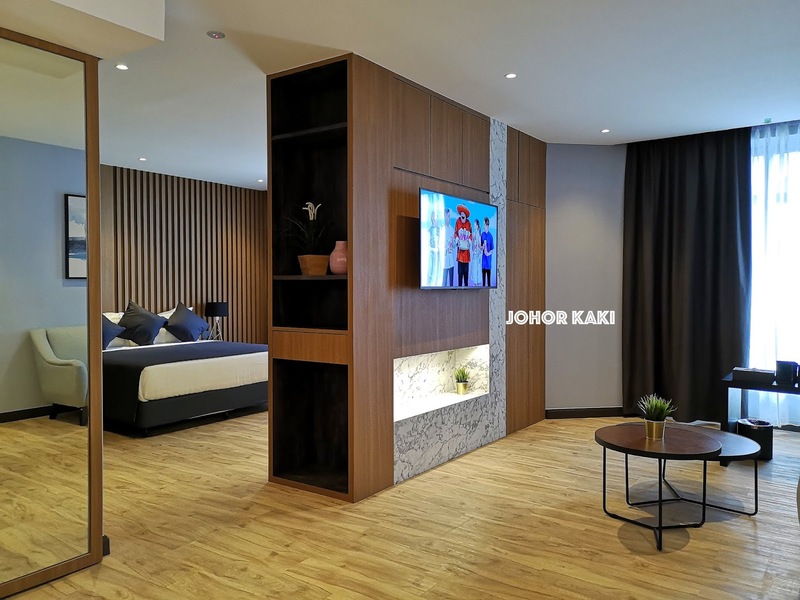 Access to the floors and room is by security key card. 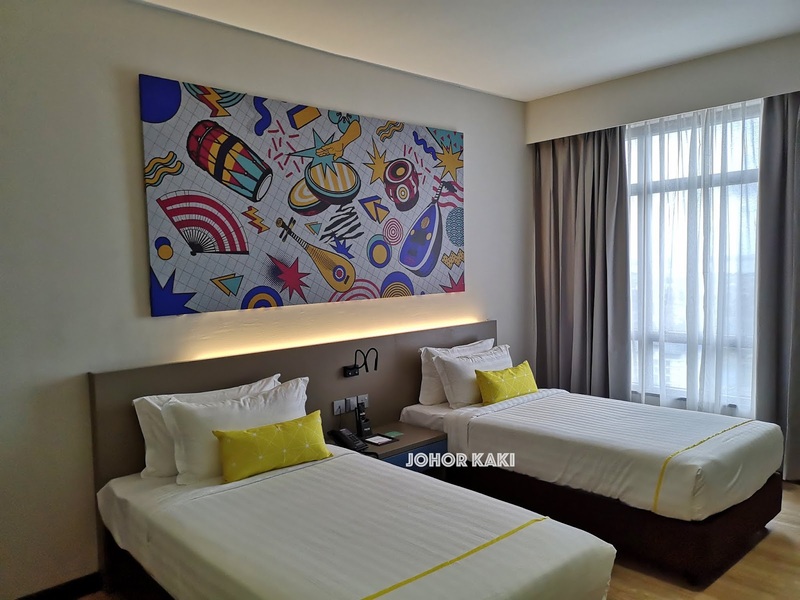 I stayed in a Fun with Geometry themed room which is decorated with traditional Islamic designs with a modern twist. I slept very well thanks to the thick spring mattress which had the right firmness for me. Oh... I am glad to note that TROVE is a smoke free hotel - one of my pet peeves is stale tobacco smell in the carpet, curtains and bed linen. No such issues at TROVE. The wifi signal strength is strong and internet speed is fast at TROVE Hotel (something I still can't take for granted even in famous brand 5 star hotels). 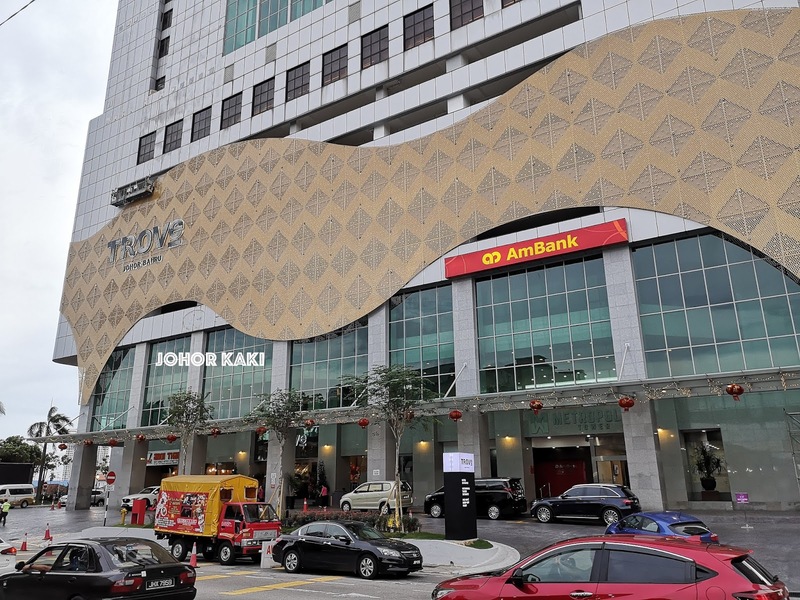 TROVE has a multistorey car park which is free for hotel guests. 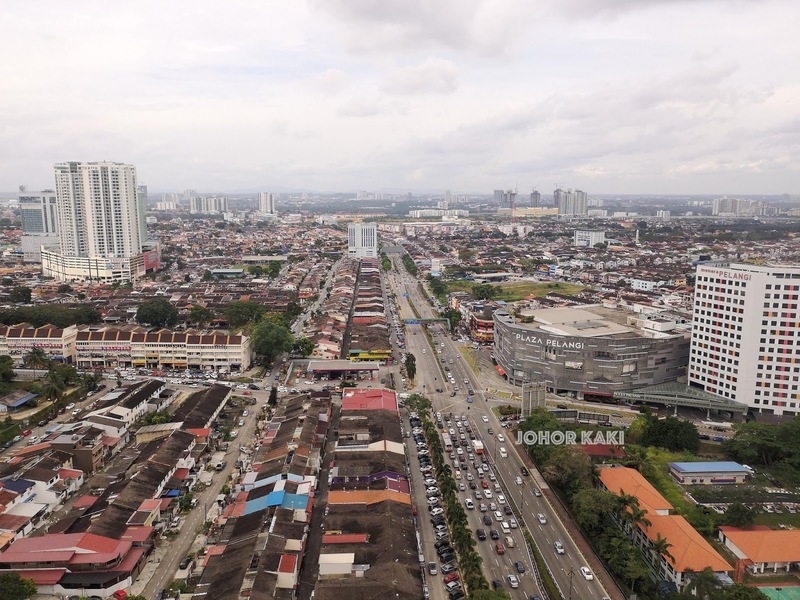 View of Johor Bahru city looking north from TROVE Hotel. KSL City mall is on the left and Pelangi mall on the right. Lada & Clove restaurant is on the 8th floor. 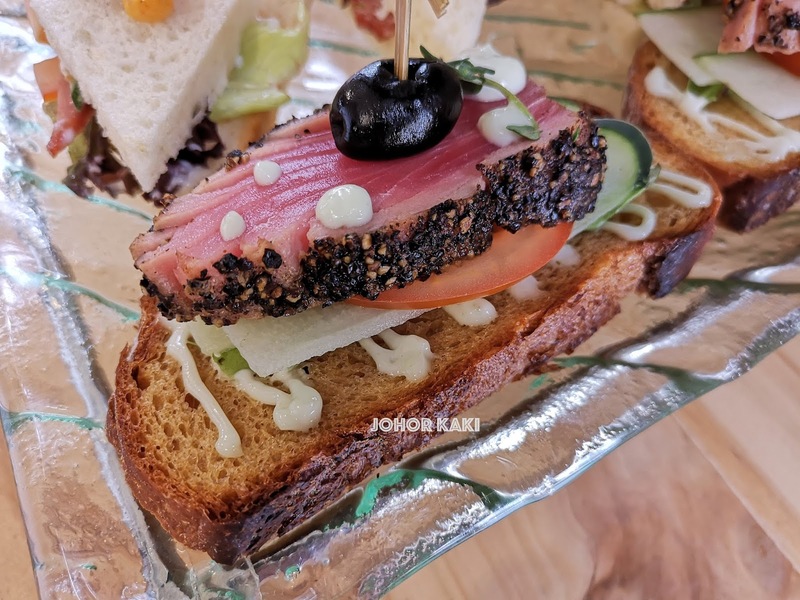 Lada and Clove serves breakfast buffet (as well as lunch, high tea and dinner). For breakfast, there's basic rice and noodle dishes with side dishes. There's a porridge station, egg station (live cooking), cereal, bread, pastries, fruits etc. 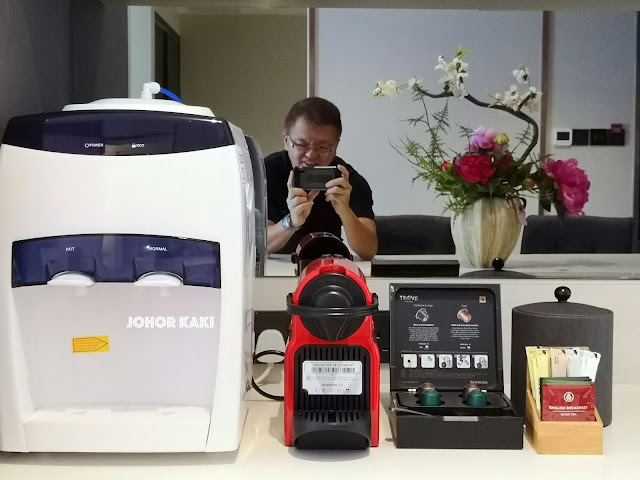 Juices, coffee and tea are available. 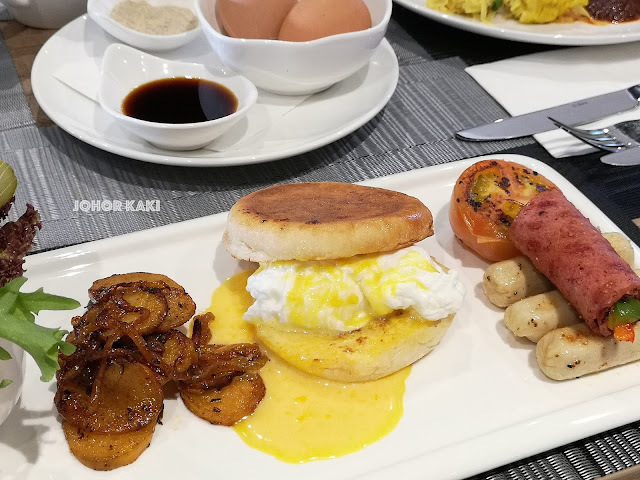 Egg Benedict is on the a la carte breakfast menu. 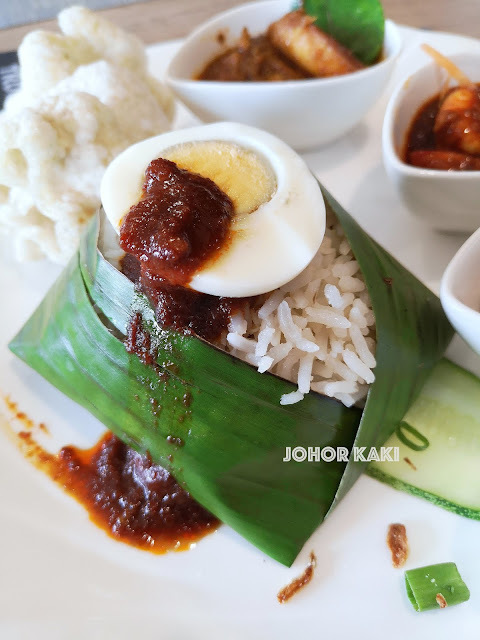 Nasi lemak Antarabangsa (price RM25 nett). Fenugreek rice cooked in coconut milk served with chicken rendang, chili paste prawns and sambal. 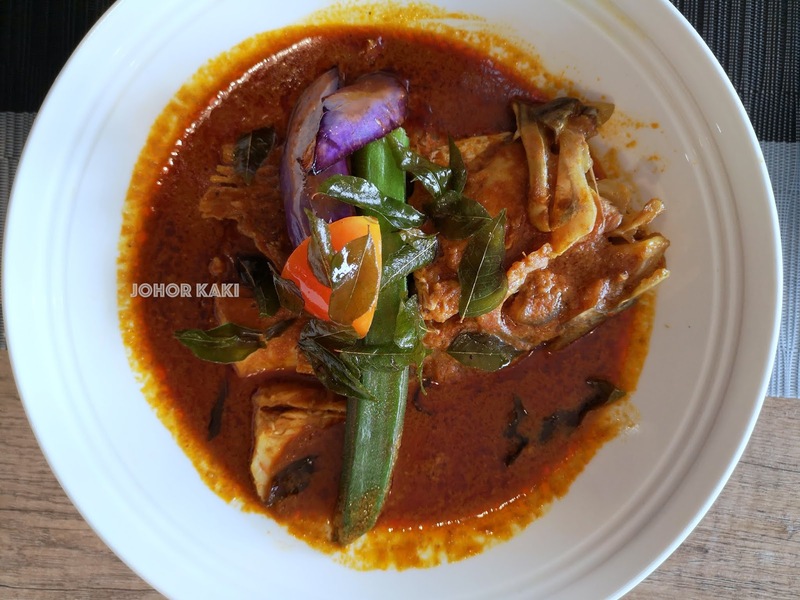 Fish head curry (price RM40 nett). 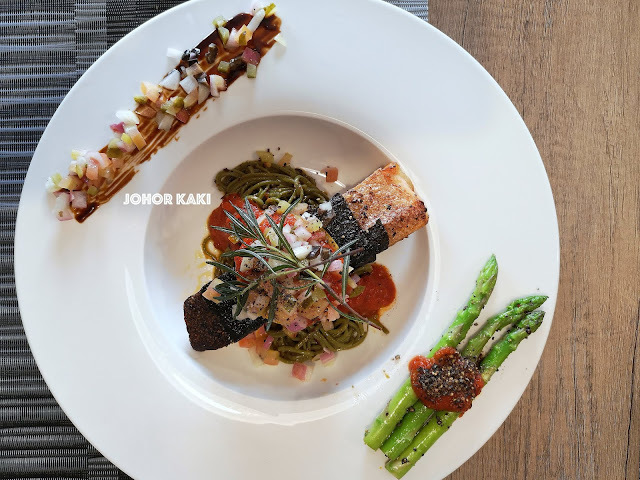 Soba noodles with grilled salmon wrapped in seaweed served with lemon tomato butter sauce (price RM48 nett). English Afternoon Tea set at RM68 for two persons - available from 12 noon to 4pm on Saturdays. 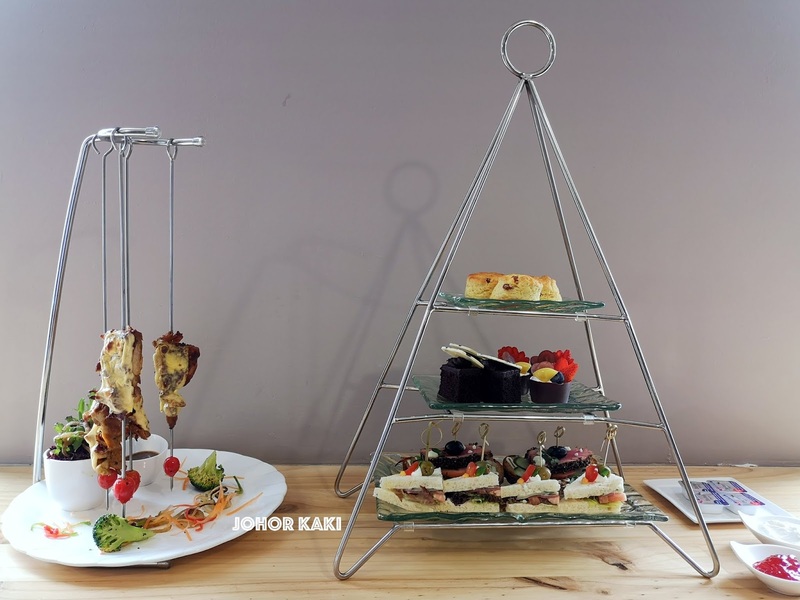 The high tea set consists of TROVE's signature chicken skewer, scones, chocolate brownies, open face sandwiches, cheesecake and more. 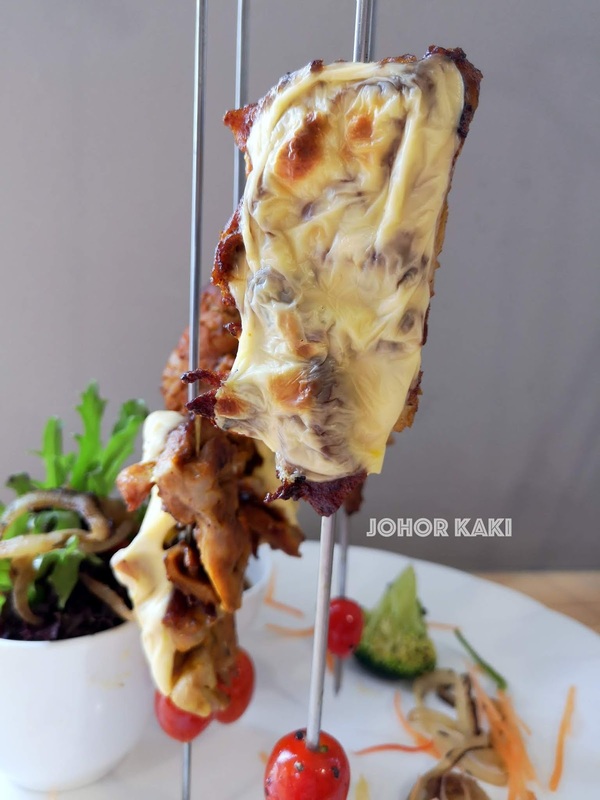 Information for you 👉 TROVE JB is a good option for home base to explore Johor Bahru because of its central location. 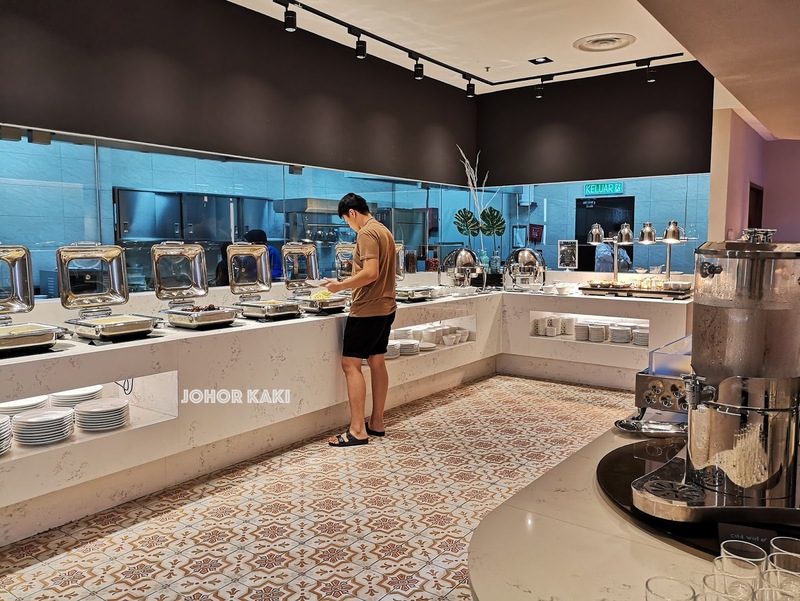 The hotel's comprehensive meeting and event facilities make TROVE JB a prime venue for meetings, conferences, corporate training, exhibitions, product launches, weddings and banquets. 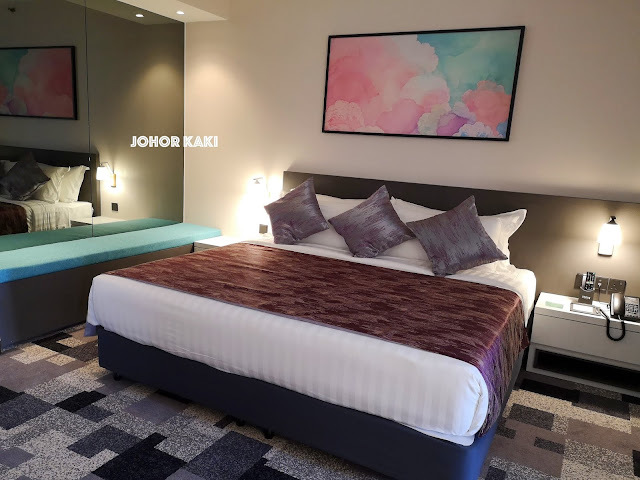 Disclosure: My stay was hosted by TROVE Johor Bahru.